We are proud to introduce our new traditional style Hand Turned Companion Set With Curved Detailing In Antique Pewter Finish. 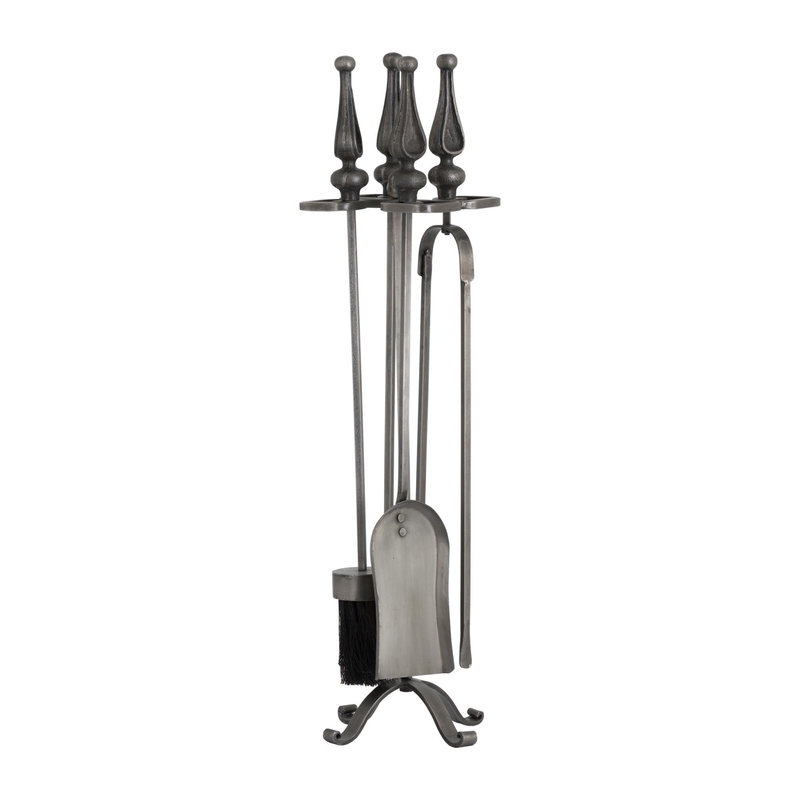 Coming in a stunning silver colour, and made with metal this piece is the only item missing from your fire place. Featuring all the tool you would need to start your fire, keep it going and clean it. This piece will give you practical use and also keep your home looking stylish.